On 6 April, the US Treasury’s Office of Foreign Assets Control (OFAC) added 24 Russian individuals and 14 companies to the list of specially designated nationals (SDN). The designations were made under article 241 of the new sanctions legislation known as the Countering America’s Adversaries Through Sanctions Act. CAATSA was signed into law by President Donald Trump in August 2017 after almost unanimous votes in both the House of Representatives and the Senate of the US Congress. While it has separate chapters on Iran, North Korea and Russia, the Russia section is by far the longest and most comprehensive, given the increasingly tense relations between Russia and the West over Ukraine, Syria and Moscow’s interference in the 2016 US presidential election. Earlier, in January 2018, the US Treasury released the so-called Russian Oligarch report in which it identified 114 high-ranking government officials and CEOs of state-owned companies as well as 96 billionaires each worth over USD 1 billion, according to Forbes magazine. The report was widely criticised both within and outside of the Trump Administration for failing to address Russia’s continued interference in US domestic affairs. Speaking in late February 2018, US Treasury Secretary Steven Mnuchin promised the imposition of new sanctions on Russia within 30 days. He said that SDN designations would be based on the confidential section of the Russian Oligarch Report, which had been prepared together with the public portion under CAATSA’s article 241 and addressed to members of Congress. Last week’s sanctions are largely a response by the Trump Administration to earlier criticisms of its failure to punish the Russian interference. Under current law, US persons, including US citizens and permanent residents, US corporations, their domestic and foreign branches and subsidiaries as well as any foreign persons based in the US, are barred from all dealings with the SDNs. The latter are banned from travelling to the US and their US-based property and interests in property must be frozen. According to OFAC’s 50% rule (as amended in August 2014), whenever SDNs own – separately or collectively – 50% or more in a legal entity of any type, such an entity must also be blocked by US persons. Of the 24 individuals sanctioned last week, the least impact will be felt by high-ranking Russian government officials with little or no exposure at all to the US authorities. There will be bigger consequences for the CEOs of VTB Bank, Gazprom and Gazprombank, respectively Andrey Kostin, Alexey Miller and Andrey Akimov. For instance, no US person is from now on allowed, among other things, to attend business meetings or sign contracts with these senior executives. In 2017, ExxonMobil paid a USD 2 million fine for the earlier contacts of its representatives with Rosneft CEO Igor Sechin who was added to the SDN list in early 2014. Although the prices of VTB Bank, Gazprom and Gazprombank shares on the Moscow Stock Exchange all dropped significantly on Monday 9 April, neither company has been sanctioned this time. They have already been under more limited sectoral sanctions since 2014 in both the US and the EU, with the exception of Gazprom which is only sanctioned by the US. The highest impact will be on Russian oligarchs. Still, three of them – the president and reported UBO of Surgutneftegaz (under sectoral sanctions in the US since 2014) Vladimir Bogdanov, the son of Arkady Rotenberg (already sanctioned) called Igor and Vladimir Putin’s former son-in-law Kirill Shamalov – will be only moderately affected. Most of their assets and business operations are based in Russia. Two other oligarchs, senator Suleiman Kerimov and MP Andrey Stock, are in a less advantageous position. Kerimov, who has been under investigation in France for tax evasion since late 2017, controls Russia’s largest gold miner Polyus through his son Said. Meanwhile, Skoch’s elderly father Vladimir controls 30% of USM Holdings, whose biggest UBO is oligarch Alisher Usmanov, and owns a significant stake in Vnukovo Airport in Moscow. While neither Polyus nor USM Holdings has been sanctioned, CAATSA’s article 228 bars foreign persons from conducting “significant” transactions not only with SDNs but also with their close relatives. The latest sanctions have had a dramatic effect on the remaining two oligarchs, Oleg Deripaska and Viktor Vekselberg, as well as their diversified companies, respectively En+, Rusal, Basel and Renova. On 9 April, Rusal lost 50% of its value on the Hong Kong Stock Exchange, followed by a 20% drop on the Moscow Stock Exchange. En+ shares shed 16% in Moscow; in addition, the London Stock Exchange suspended the trading of its global depository receipts. Rusal had earlier said it could default on its dollar-denominated Eurobonds. En+, Basel, Rusal and Renova have extensive international operations, including in the US, and along with lost access to US banks, suppliers and customers, will likely have to wind down operations in many other markets. CAATSA imposes severe restrictions on “significant” transactions, both financial (article 226) and non-financial (article 228), between SDNs and foreign persons, therefore considerably extending the scope of US extraterritoriality. Terminating relationships with the newly designated sanction targets, in particular the oligarchs, has now become the utmost concern for all US persons. Unsurprisingly, many if not most European financial and non-financial institutions will feel the need to do the same, or at the very least to drastically reduce their exposure, due to the potentially highly negative implications of CAATSA’s articles 226 and 228 as well as the reputational fallout. However, identifying all assets that need to be blocked under US sanctions law is not an easy task. 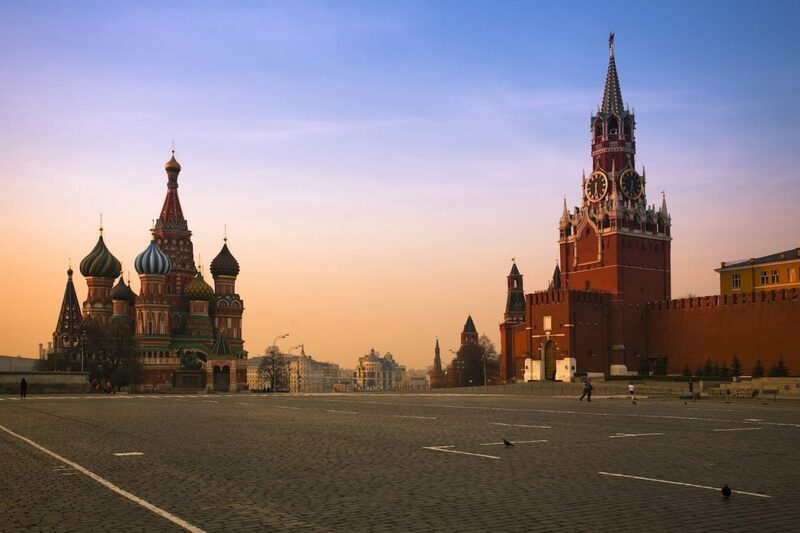 The use of offshore corporate vehicles, nominee shareholdings and complex ownership schemes is a common phenomenon in Russia and requires considerable technical skill and more often than not solid on-the-ground knowledge to trace assets falling under OFAC freezing orders. For example, it is rumoured that Vladimir Bogdanov owns/controls up to 70% of Surgutneftegaz through obscure limited liability companies and pension funds. US sanctions do not apply to control without ownership, yet if these companies are ultimately owned by Bogdanov’s close family, Surgutneftegaz could put its foreign clients and suppliers at risk of secondary sanctions. In case of indirect ownership by Bogdanov himself, it might have to be seen as a blocked entity (similar to SDN) instead of being merely under sectoral sanctions. Likewise, OFAC’s 50% rule may sometimes prove misleading. For instance, if an Oleg Deripaska owns 50% of Entity A, which owns 50% of Entity B, his indirect economic ownership of Entity B amounts to only 25%. Yet, for the purposes of US sanctions compliance, both Entities A and B must be blocked. It is therefore important to clarify ownership stakes in complex shareholdings for every available tier. Finally, last week’s sanctions are likely to be followed by additional SDN designations in the months to come, given the poor state of US-Russia relations and continuing fallout from the Skripal Affair in the UK and alleged chemical attacks in Syria. It is important to note that article 241 of CAATSA leaves the US government much leeway to introduce further sanctions based not only on proximity to the Putin Administration but also on corruption allegations. In this context, it is critical to assess the level of exposure of other Russian oligarchs to future SDN designations, as mentioned in the public part of the US Treasury’s January 2018 report. Providing general advice on the level of exposure under CAATSA as applicable to both US and foreign persons. Stay up to date with our latest insights, news, upcoming events, and Financial Crime Digest publications. Nursultan Nazarbayev abruptly resigned as president of Kazakhstan in March. Upon closer examination, however, it is clear that he has not left the scene, but fired the starting gun on a transition process that is designed to keep power within his circle and preferably within his family.